Initial D World - Discussion Board / Forums -> Racing with a cup of water is possible! 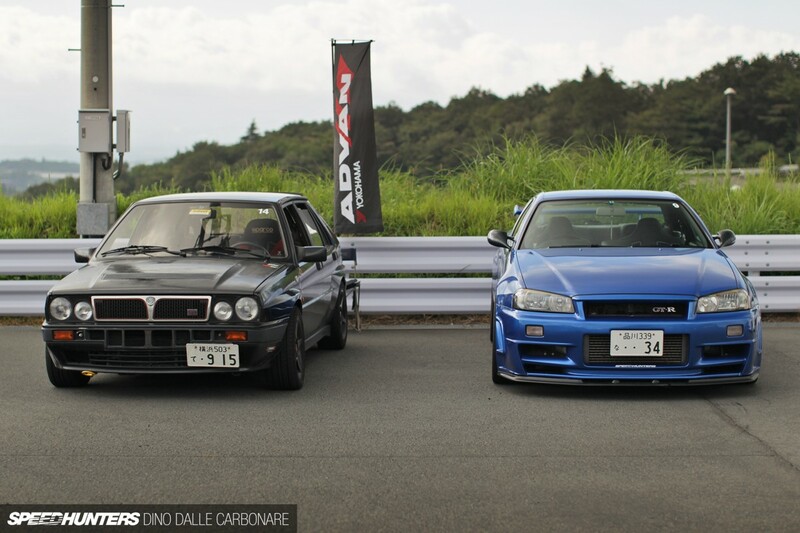 Sure it was on a slalom on a smooth surface and they used a R34 GT-R, but it is possible. After a bit of practice through the slalom course and a test to gauge our smoothness in braking by stopping between two lines from high speed, they suddenly upped the ante! I had no idea this was going to happen but all of a sudden I thought I was inside a Best Motoring video! After sticking a plastic container onto my windscreen with a sucker, they added one bottle’s worth of water. This would be the ultimate test in smoothness, getting around the handling course without spilling a drop. This has to probably be the hardest thing I’ve had to do in a car, I kid you not! Before I had a go however, an instructor, who just happened to be a pro rally driver, jumped in my car and proceeded to blow my mind. I couldn’t believe the pace he was holding, carrying so much speed through corners and applying so much braking force and steering angle yet keeping the pitch and roll so contained. Say you want to enter a corner as fast as you can; if you just throw your car inside you will upset its balance and there goes the water, or more generally, your smoothness. You have to be decisive about the way you apply lock, progressive with how you feed it and at the same time your smoothness also needs to stretch to how you back off your brakes as you turn in. Jump off the middle pedal and you could upset the car and its momentum. Same with the throttle: smoothness is the key, maybe less so with a turbocharged engine which is a little less instant to respond, but you get the idea. Start playing with this stuff and like me, you will discover just how aggressively you can drive your car by keeping the way you interact with each of the controls smooth, and in this particular case translating to less spilled water. It was then, after practising for a bit, that it hit me – this exercise was nothing short of genius! It was like a real-time smoothness indicator! 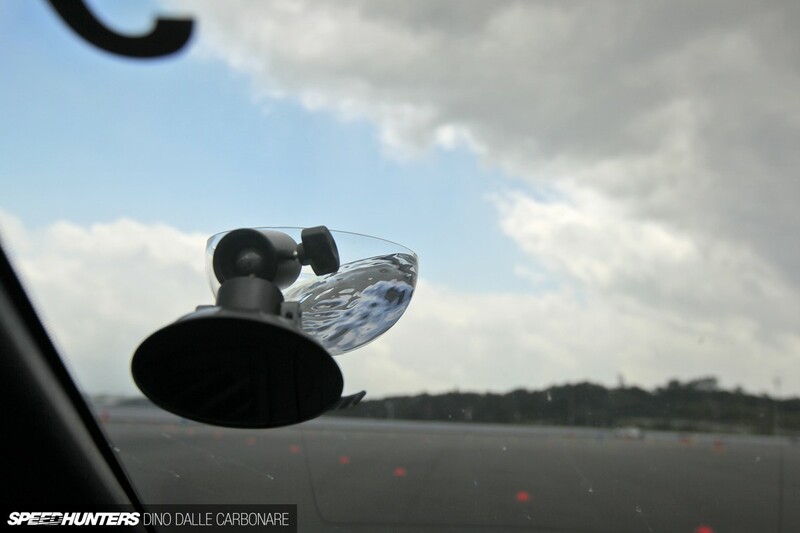 A few of us RS Motors/365 Racing guys have done it in a similar manner, they have a glass attached to a suction cup mount. The track we tried it at was super rough though, so it wasn't so much who spilled nothing, but who spilled the least. This was a while back and I was nowhere near as smooth as I am now, so needless to say I did awful. I have since however, without thinking about it, gone to set up cones to mark out the track layout at one of the modular facilities we use, and then done sighting laps with a near-full can of Arizona sweet tea in the cupholder, and spilled none. Not the same thing by any means but I found it amusing after the fact. Someone also did this recently as well. Also relevant.